I’m a technical artist at a game studio in Seattle, WA USA! It’s been very exciting to see the glasses-free 3D tech evolve over the last 10 years or so! I received my LookingGlass this week and am looking forward to digging in! i love to use the looking.glass to create some magic related to the acts we do at different kind of festivals. Hi, I’m Chris, science researcher working in nanotechnology in France. So not a coder, an interested potential end-user sniffing around and curious to see what we could do with the looking glass to visualise molecular structures. Loving what I’m seeing so far! To save us reinventing the wheel with some of our software tools, would be useful if we could port java to the glass (e.g. ‘jMol’) - any hints and suggestions much appreciated. I am interested in displaying this work on the looking glass display. Hi there! I’m Patrick, also know as TheDuckCow (website, youtube). I’m an active Blender 3D developer, and also do a lot of work with 3D animations and other visual effects. Looking forward to bringing some of those creations into more interactive life as I use my Hologram to also force myself to learn Unity! I’m also very much so looking forward to an eventual native support for Blender 3D Based in NYC too if there are other Hologram hackers here, and thanks to the Looking Glass Factory for making this great product and having open socials in the area! I read the code from holoplay.js few hours ago and I was very happy to see that it’s possible to have a total control of the frame you send to the device ; then it’s possible to “hack it” and imagine new usages (instead of updating the distance of the camera between two view, it’s possible to update a shader and play with transparency for example ; or to update a shader while you update the distance, that kind of thing ), I’m very impatient to try ! I’m a Japanese XR engineer and I run a small development company. I’m very pleased to create a new experience using LookingGlass. I’m looking forward to talking with everyone here and doing interesting things. I’ve been making games since 95. Have worked at a lot of neat places (Looking Glass Studios, Harmonix, Valve, Oddworld, EA, Zynga, now Amazon). I spend all my time talking, managing and writing docs the last few years, and mostly do hands on stuff at home when I can to stay fresh! I’m working on my third little demo currently. Two of which should be out in the Library within a few weeks if I can wrap up some improvements and bugs soon! Love this community, love the Looking Glass, and I expect BIG things from this tech in the future. I want wall sized displays with > 1000 projected images in museums, airports, malls, etc! Let’s make practical mixed reality for those who won’t want or be able to afford the Apple AR glasses when they come out! You’ve been doing this a long time too, I’m surprised we have never met! Did you work on Thief? That’s some serious OG street cred! I was on the Flight sim side (Flight Unlimited), but I was the voice of the guard in Thief for years before they took him out, lol. I was bummed. One of my best friends and mentor was the lead programmer on Thief and effectively invented spatial sensory-based AI models for stealth games. Was fun to be around that team and watch it’s evolution! At one point a writer / designer named Ken, who went on to form Irrational Games, was pitching the game as ‘Better Red than Undead’, which had a super cool red-scare (from the 50s) twist. So many stories from that place! Anyway, very nice meeting you. Keep up the good work! I am a video games developer & arcade games fan. I became recently interested in light fields, and discovered the Looking Glass, and so I came here to know more about how it can be used for video games. Hi i am retired and a 3d enthusiast who likes to create depth mapped videos for experimentation keen to see how this helps to create looking glass video content for my self and community for non profit. My interests are AR/VR, 3DCG techs and have some gadgets as HMDs, HoloLens. I’m glad to get to talk about brilliant LookingGlass in here! I’m trying to work LookingGlass well on a Jetson Nano(just $99! ), and partially well done using holoplay.js. But a 3D rendering of Jetson Nano is poor compared to desktop PCs. 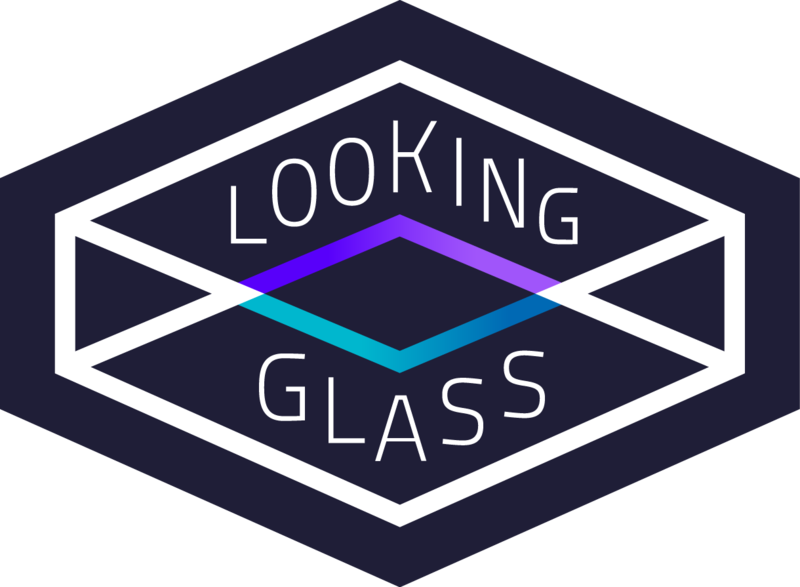 I’ll try to get techs for more performance with LookingGlass.